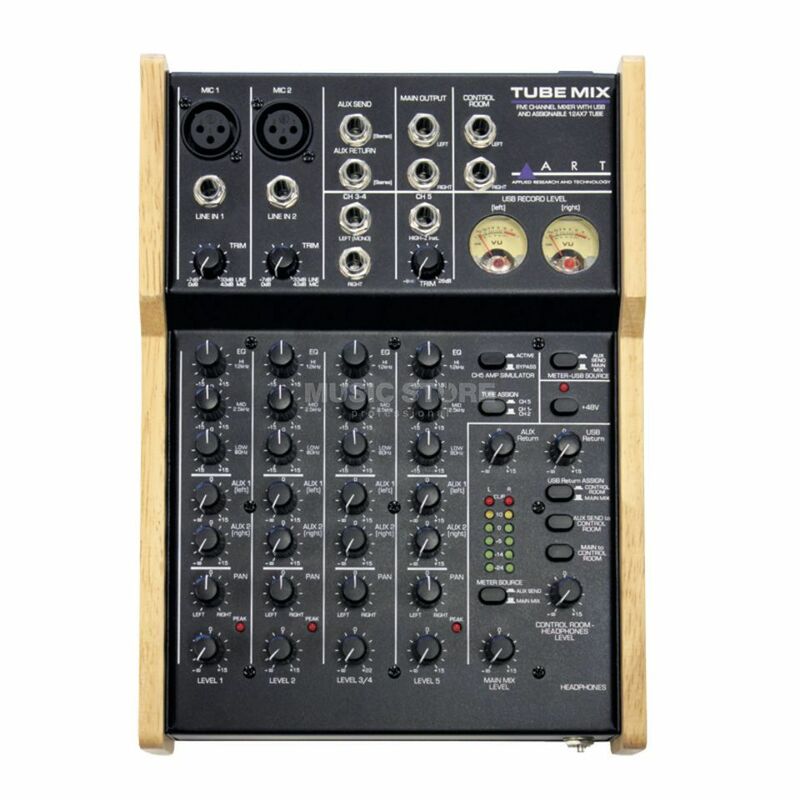 The ART TubeMix is a compact versatile audio interface featuring a fully featured tube driven five-channel stereo USB mixer. The TubeMix supports two microphone inputs, one high impedance instrument input and two line inputs simultaneously. The Tube can be assigned to act as a dual channel tube mic preamp, or stacked and applied to the instrument input for added warmth and tone with guitar or bass. All input channels are fully featured with a three-band EQ, two aux sends, pan and level controls and you can also select inputs including input trim control and clip indicators for optimum level setting. The high impedance instrument input also has an amplifier simulation function. A versatile output section provides separate stereo monitor mix on the main buss whilst recording via aux buss, or vice versa if required. A flexible Control Room/Headphone section allows routing to monitor the main mix, USB input and aux sends for maximum flexibility. Switchable low noise +48V phantom power for condenser microphones is provided. Authentic VU meters and wood side panels add to the great vintage look and feel of the USB TubeMix.